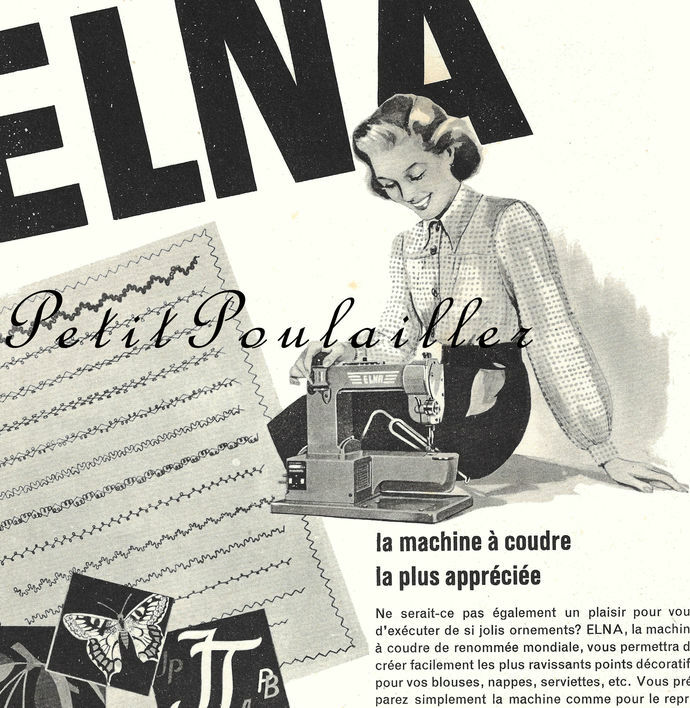 From 1951 Paris - here is a beautiful mid-century paper featuring Parisian cover couture, gleaned from the French fashion publication, 'Modes and Travaux', September 1951. Featured here is the 2-sided magazine cover measuring 7.75" x 11.5" (20x29 cm). 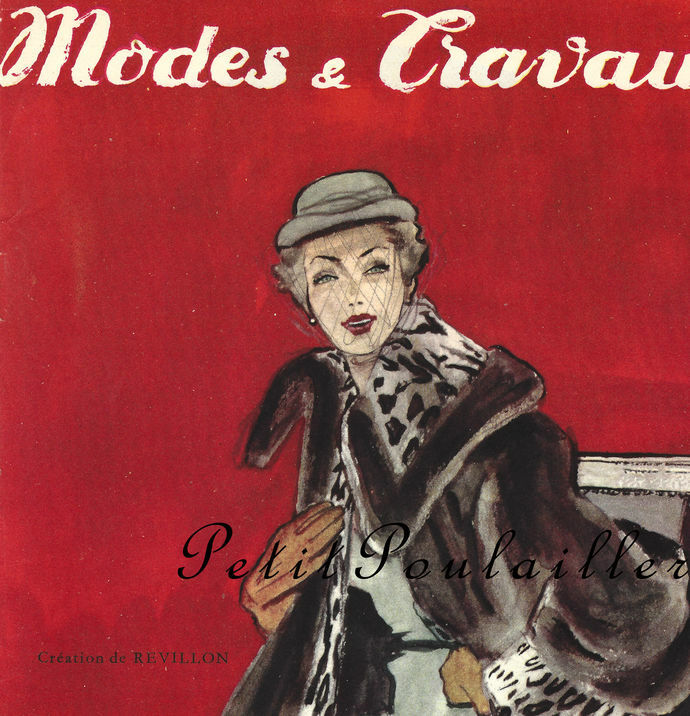 This is a fabulous fashion illustration, signed "Revillon". 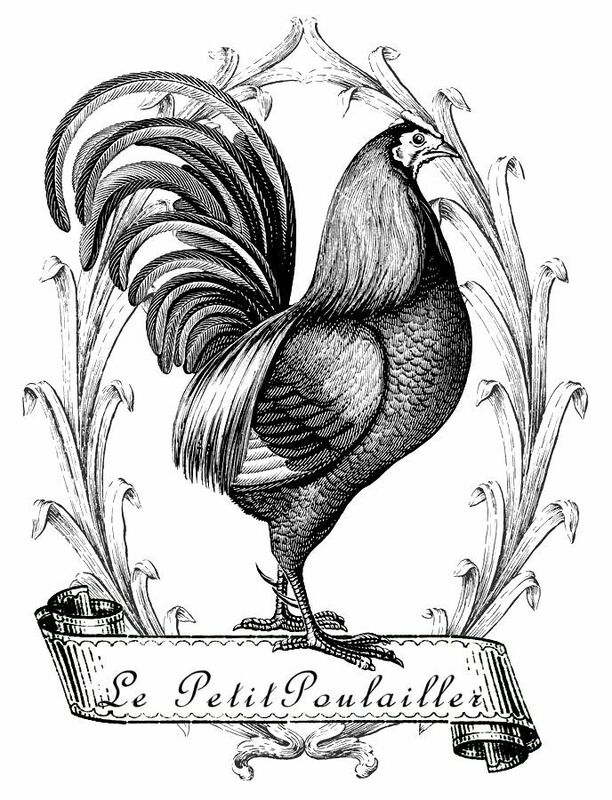 Revillon Brothers was a French fur and luxury goods company, founded in Paris in 1723. Then called la Maison Givelet, it was purchased by Louis-Victor Revillon in 1839 and soon, as Revillon Frères, became the largest fur company in France. 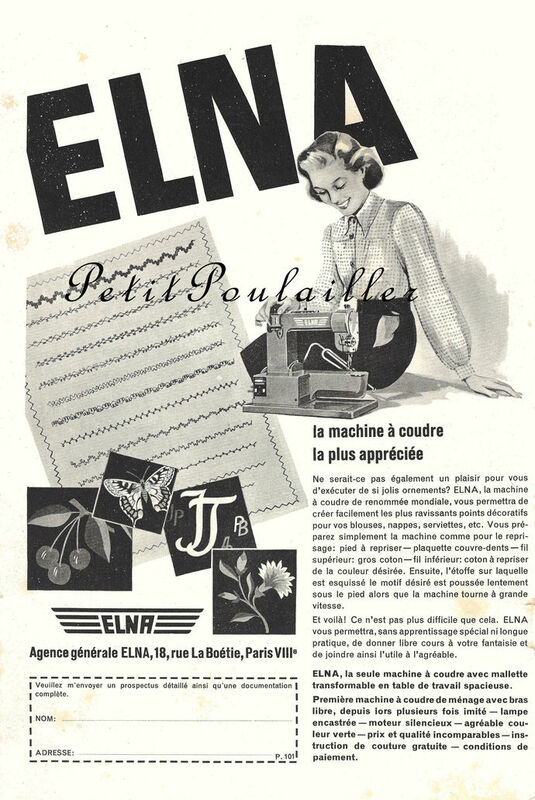 On the reverse, a black and white ad for Elna sewing and embroidery machines - 'the most preferred sewing machine'. The fashion illustrations are wonderfully bright and clear - 65+ years later and the papers are smooth and clean with no tears, marks, creases, or folds. Perfect for card and tag creations, scrap-book page making - wonderful to frame for bedroom or dressing room, bath or sewing studio. 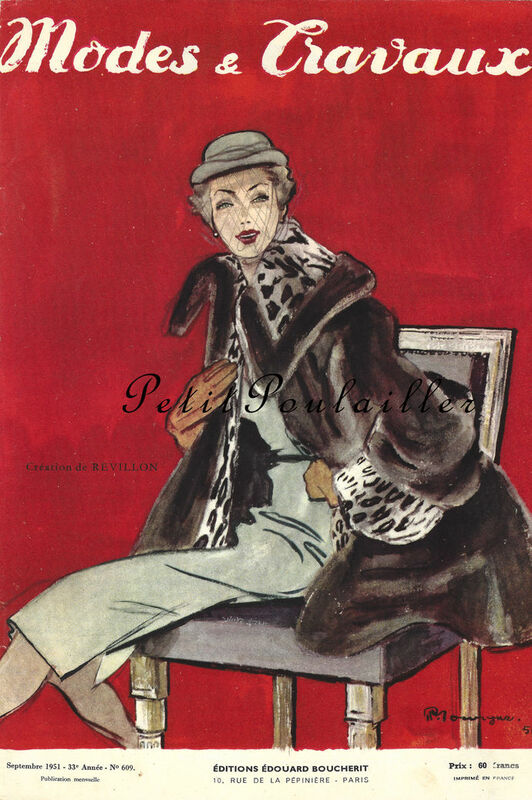 You are purchasing original 1951 fashion papers and they do not have watermarks. I will send this to you flat, protected, and by USPS 1st Class mail.